You'll soon be able to make your own private customized Splatoon matches, as well as play ranked mode with friends. We got a sneak peak at the upcoming Splatoon August update with a Japanese commercial earlier this week, but now Nintendo has gone ahead and lifted the curtain on everything the update plans to include. Brace yourselves, cause it's a big one. As well as new weapons and maps, the August update will include a level-cap increase (to level 50), over 40 new pieces of gear, and two new multiplayer modes: Private Battle and Squad Battle. 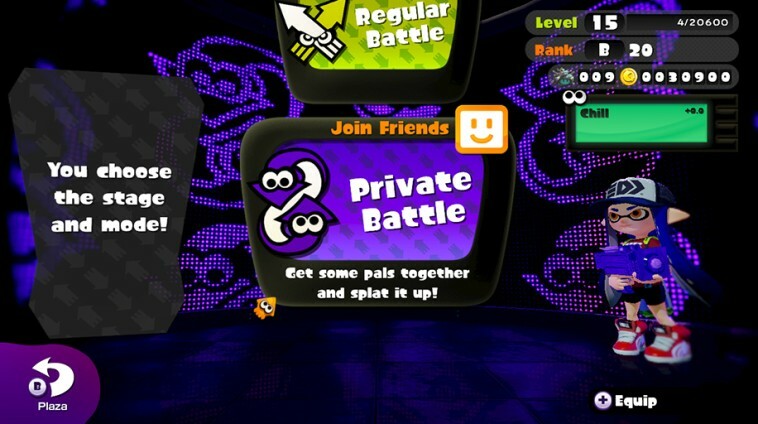 Private Battle will finally allow players to create their own private, fully-customizable lobbies. "Two to eight friends can battle together by selecting their favorite map, mode and weapons," explained Nintendo. "The number of participants ranges from 1v1 to 4v4, but teams don't have to be even: if the host chooses, he or she can select a 1v4, 1v2, or any other combination of players." 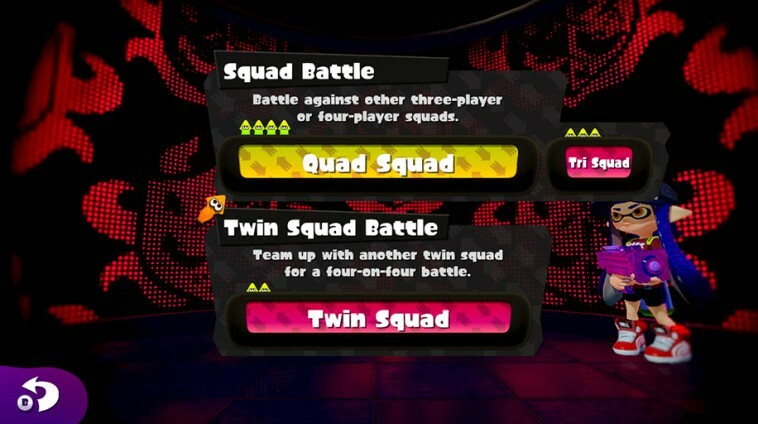 Squad Battle is best described as a kind of team ranked mode, allowing teams of two, three or four to join the ranked matchmaking queue against other teams of the same size. "In Squad Battle, players can participate in Ranked Battle rule sets with friends, rather than being teamed up with other players through a random selection." The new level cap of 50 also comes with two additional ranked mode ranks (S and S+). Lastly, Nintendo detailed those two new weapons we saw in the Japanese commercial, and as we presumed, they are of an entirely new weapon class, rather than just being modifications of existing weapons. 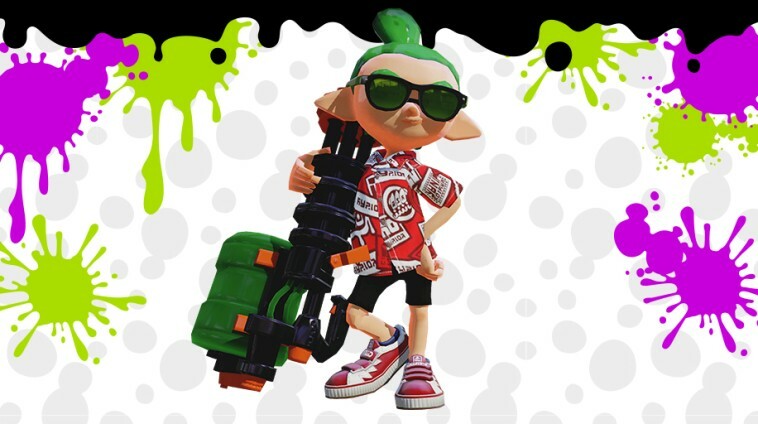 "The bucket-like Slosher weapons hurl ink straight ahead at an impressive range. 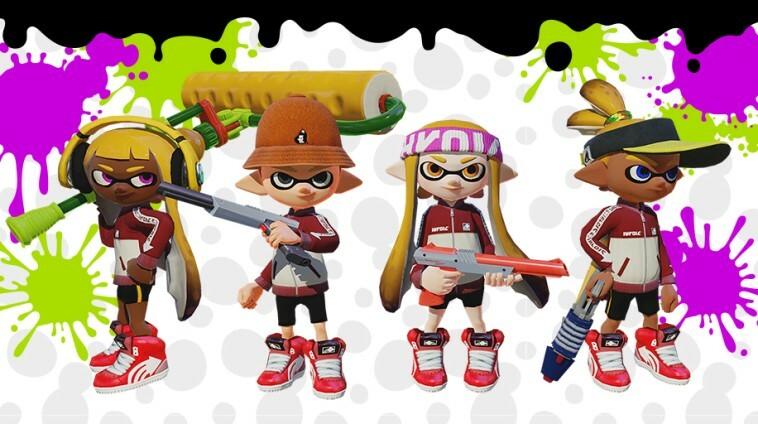 By adjusting the angle, these new weapons can be used to splat opponents who are up high or even on the other side of a wall. 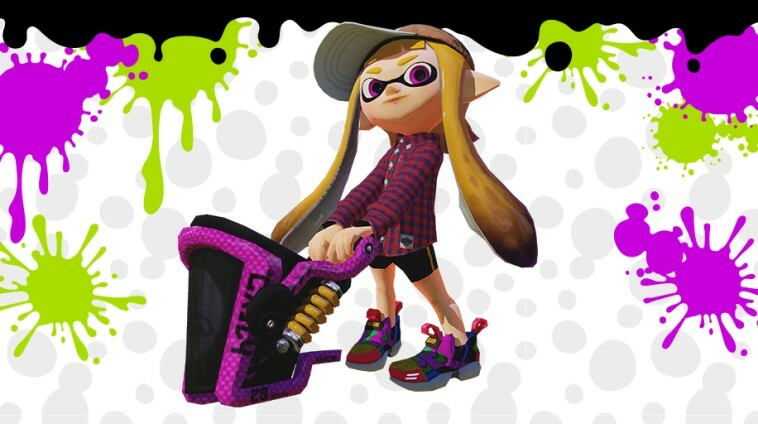 With the Gatling-style Splatling, players can charge all-powerful ink. A maximum charge unleashes the full potential of this particular weapon type." The August update will be completely free to all Splatoon owners, and will be released on the 6th.